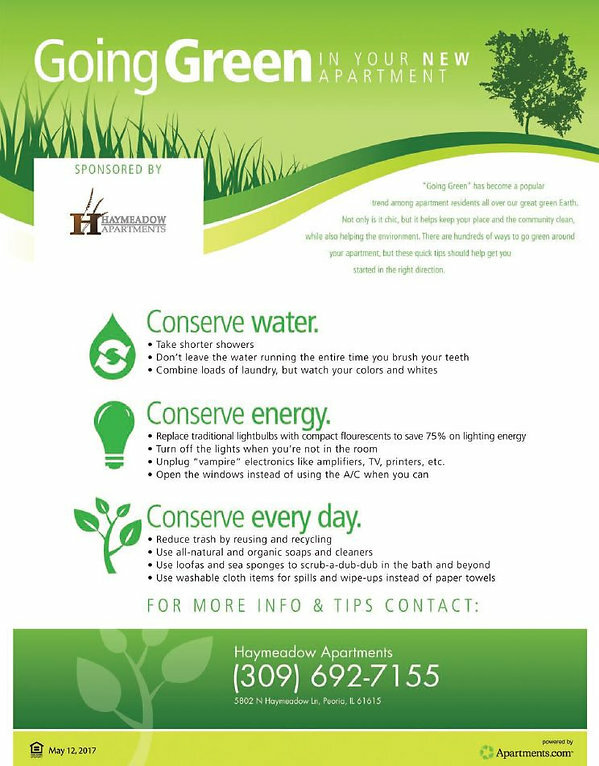 Not only is "Going Green" a great way to do your part to protect our environment, but it can also be a way for you SAVE some "green" and help with "Living Wise!" Thanks to the folks at Apartments.com for the some quick tips! Do you have some environmentally-friendly tips you&apos;d like to share? Please let us know! And as always, we appreciate you stopping by "Living Wise" and sharing with us!